I had a conversation recently with a very experienced Business leader, trying to explain in plain language what ICEFLO is and how to articulate the business benefits. After a few minutes, he summarised the solution perfectly ... "So, it's a bit like SatNav for technology cutovers". This concise and insightful conclusion prompted me to write this blog, comparing ICEFLO to modern SatNav systems by looking at the essential characteristics shared by both solutions. Developments in technology has transformed the way that people all over the world think about travel and planning a trip. 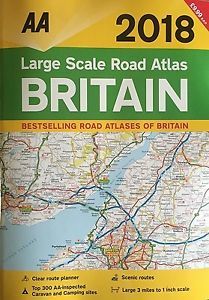 SatNav solutions emerged from vendors such as Garmin, TomTom and others and killed off the use of large printed maps. In recent years, the ubiquity of smart phones means that Google Maps is the dominant travel planning solution these days. The car driver is shielded from the complexity of the underlying computations ... who would know or care that Dijkstra's mathematical model is working away continuously in the background. The end result of this innovation is clear - very few people still use the AA Roadmap to plan a journey. For many of us, embarking on a long and important journey without our trusted SatNav solution would be unthinkable. Of course, some journeys can be taken at your leisure, when time isn't an issue and delays don't represent a big problem. Family weddings, catching a long-haul holiday flight; the business meeting to land a huge deal. You know the trips that really matter. Imagine if the option to leave whenever you wanted wasn't available. You are forced to wait until the last minute. A wedding guest and fellow traveller arriving from overseas. These scenarios reflect occasions where SatNav provides the most value to you - when the travel time is limited and the pain of being late is much more than a mere nuisance or even discomfort. In this Blog, I'd like to plant the seed in your mind that the same should be true for your upcoming technology cutovers. If you are about to perform a complex technology cutover, why would you consider using the equivalent of the AA Roadmap - your tried & trusted runbook spreadsheets. We've all got a little lost and unfortunately arrived late with this approach! SatNav systems focus primarily on predicting the forecast arrival time at your chosen destination. This singular metric is what interests the traveller most. Deriving this simple metric is a complex, clever calculation that requires a huge amount of processing of both static and dynamic information. SatNav systems perform this task brilliantly, masking the complexity of what's going on behind the scenes and delivering a valuable and trusted "user experience". Let's take a look at what's going on under the covers and compare each area to what ICEFLO does during technology cutovers. The ability to build a comprehensive and complex cutover plan is a key requirement. The bad news is that there are no maps, no GPS, no existing road network and no signposts. The good news is that ICEFLO provides the solution that enables sophisticated cutover plans to be built and tested prior to the actual journey. SatNav systems work on both static and dynamic data to achieve these clear and simple metrics. Crucially, SatNav systems hide the complexity of the data and calculations that are required to deliver these familiar results. This lets the driver focus on driving rather than navigating and re-calibrating the arrival time. ICEFLO works on both static and dynamic data to achieve these clear and simple metrics. Just like SatNav systems, ICEFLO hides the complexity of the data and calculations that are required to deliver these familiar results. This lets the Deployment Manager focus on managing the myriad of people, tasks and issues that ultimately result in a successful cutover. Route planning and key metrics tell only part of the story. The real power of both SatNav systems and ICEFLO stems from their shared ability to layer dynamic data on top of the Route Planning aspects, bringing life to the key metrics as the journey unfolds. Let's examine the nature of the dynamic data that delivers the power of these solutions. Provide senior management with accurate and timely information to inform the "big decisions"
Provide a degree of comfort to senior executives that everything is progressing well and that services are "safe"
Accurately predicting your arrival time allows you to make decisions and revise any arrangements, delivering benefits to more than just the driver. Take a look at ICEFLO, a modern cutover planning platform to help you successfully navigate through your complex technology cutovers. Don't lose your bearings and you might even enjoy the journey!